* REVOLUTIONARY! 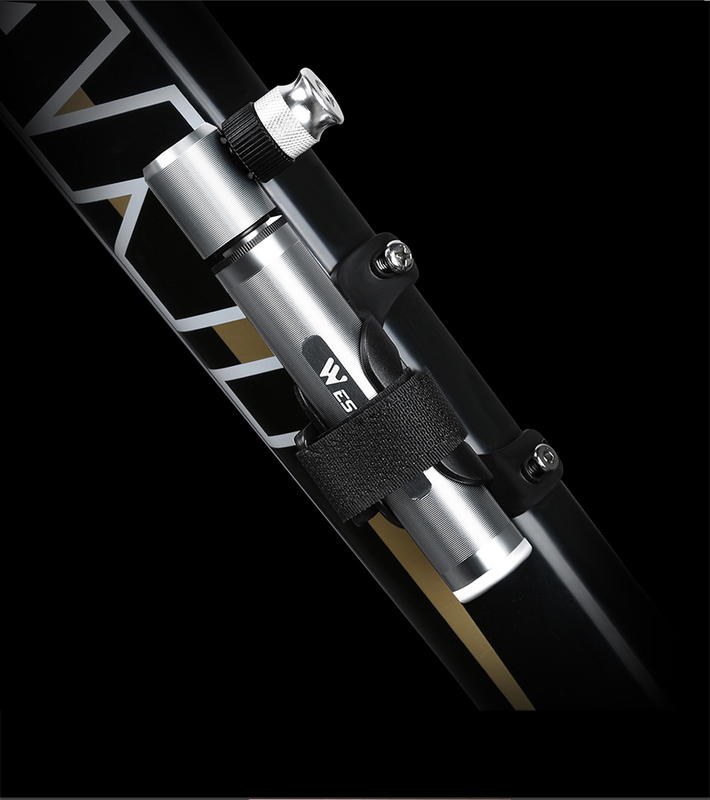 Ultra-lightweight and portable permits you to can fit in pockets, saddle bags, or even include a water bottle bracket like pro cyclists do. * HIGH-PERFORMANCE! 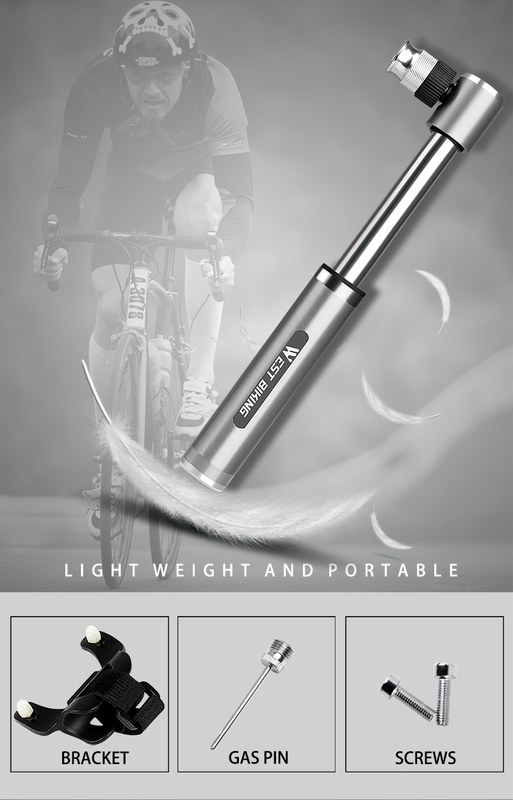 Support 160 PSI High Pressure provides you the ability to not only inflate Mountain Bike tyre but also Road Bike tyre – Fast! * BRILLIANT! 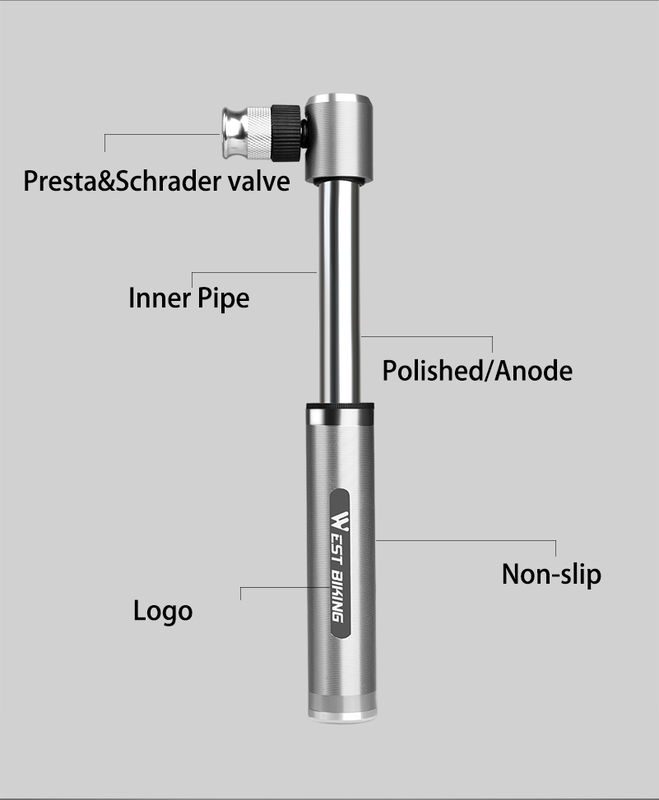 Suitable for Schrader Valve and Presta Valve makes it so you can enable the pump to fit any type of valve like the best. * PRACTICAL! 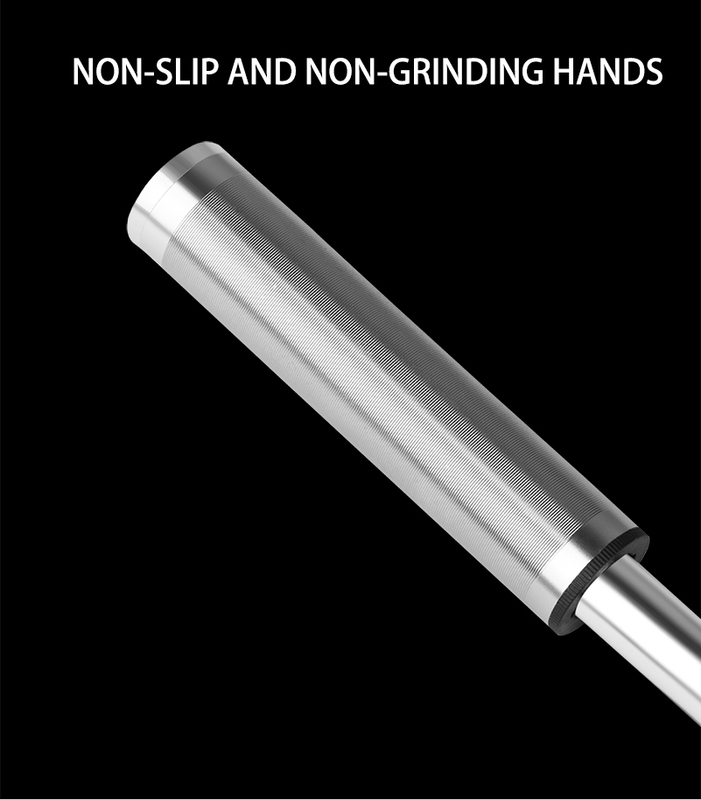 Anti-slip allows you to hold the pump securely without slipping with Ease. * EXCLUSIVE! 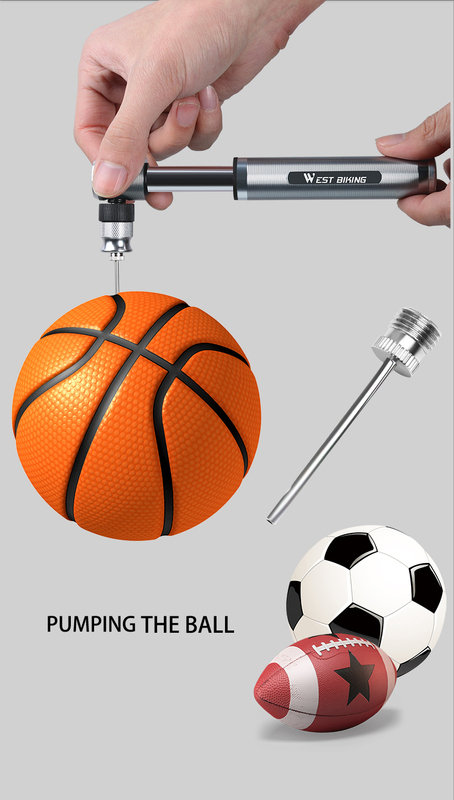 Gas pin included lets you pump all kind of balls in no time. 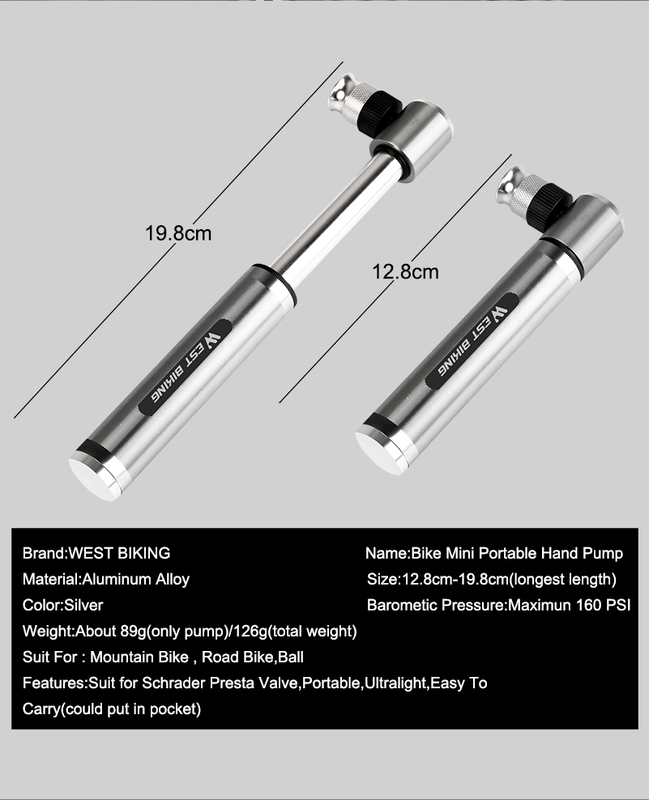 If you want a pump that fits in pockets, saddle bags, or even include a water bottle bracket, not only inflate Mountain Bike tyre but also Road Bike tyre, and enable the pump to fit any type of valve... then this is the most important bicycle pump you'll ever purchase! 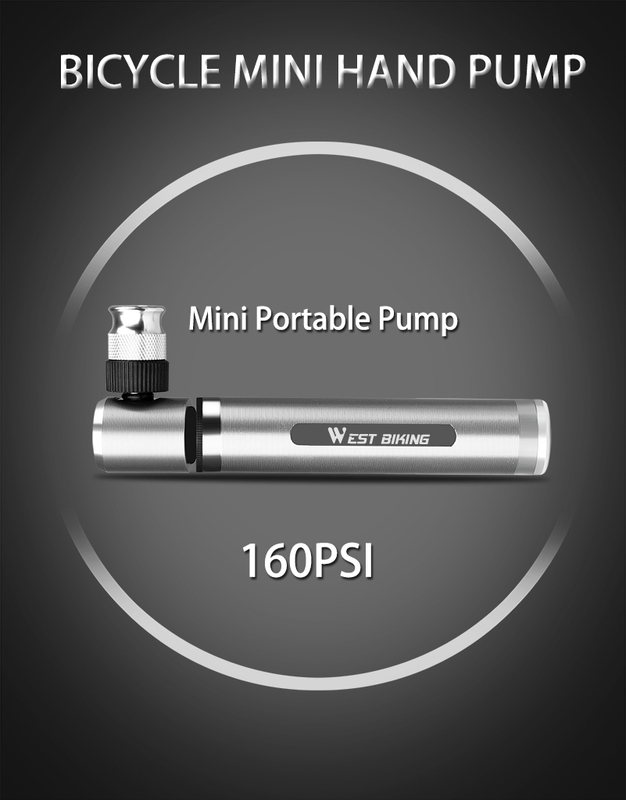 Portable Mini Bicycle Pump 160 PSI High Pressure is an amazing new bicycle pump that helps every cyclist to carry it around without much weight and inflate the tyre quickly. 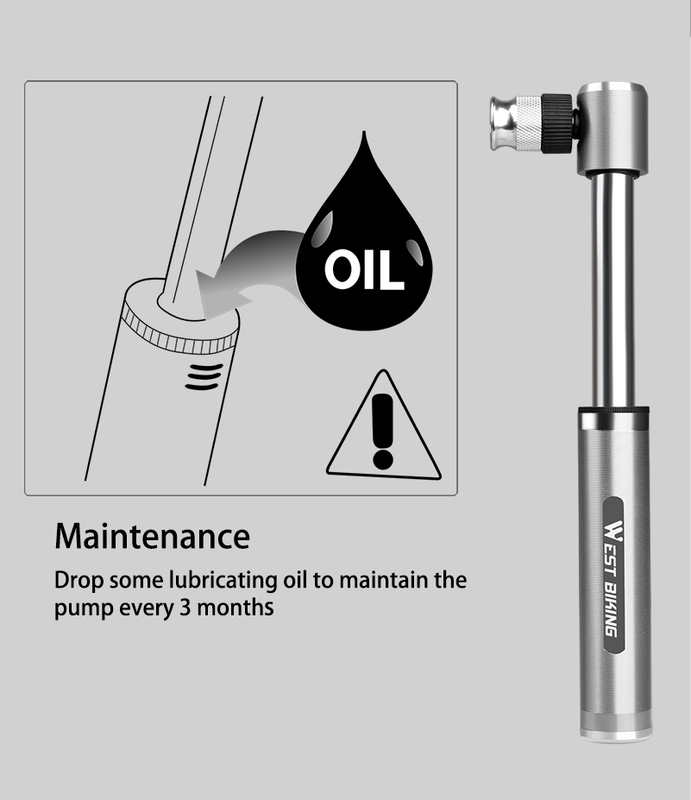 Why wait another day to carry your heavy pump around? - Order Now!